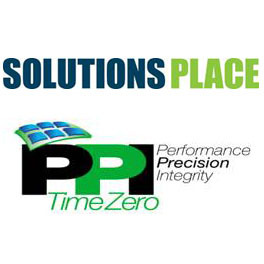 PPI/Time Zero Inc., a leading electronic manufacturing services provider of high reliability aerospace, defense, medical and industrial electronics, will invest $1.15 million to establish operations at Solutions Place in Waynesboro. The project will create 65 new jobs within the next year. Headquartered in Paterson, N.J., PPI/Time Zero is an EMS company providing low-to-medium volume highly customized electronics. With 40 years of service, PPI is known for manufacturing mission critical products supporting aerospace, defense, industrial and medical instrumentation. PPI offers its customers a total solution including design, prototyping, cable and harness manufacturing, turn-key printed circuit board assembly and box build, test, thermal stress screening and end of life manufacturing support. The Virginia Economic Development Partnership worked with the City of Waynesboro and the Shenandoah Valley Partnership to secure the project for Virginia. Through its Virginia Jobs Investment Program, the Virginia Department of Business Assistance will provide funding and services to support the company’s recruitment and training activities. “It is our long-term mission to bring more technology jobs to Waynesboro, and I hope that PPI/Time Zero’s tenancy at Solutions Place acts as a catalyst to encourage other successful technology companies to consider our facility,” said Rebecca Polan, director of Solutions Way Management. Polan said a newly opened Foreign Trade Zone and Solutions Place’s close relationship with Reo Logistics gives Solutions Place tenants a competitive advantage. Pittman said Waynesboro offers a wonderful quality of life for his employees including good schools, affordable housing, a skilled labor force, and access the beautiful Blue Ridge Mountains, which are just minutes away. From a business strategy standpoint, the area also puts PPI/Time Zero close to many of its existing and potential clients. While many of its contracts come from the U.S. Department of Defense and Department of Homeland Security, PPI/Time Zero maintains a diverse client list including such companies as General Electric, IBM, BAE, Hamilton Sundstrand, Eaton, DRS, ITT, L3 and Parker Hannifin.